Dallas is a fast-growing city with businesses in many industries. Lots of people are moving here to get jobs and start companies. It’s no surprise, therefore, that there are also many business events such as conventions, trade shows, and conferences. These provide great opportunities to network and make valuable connections if you go about it the right way. Let’s look at the best 10 tips for successful business networking at Dallas events. Find the most suitable events. To get the most out of business networking, start by choosing the right events. 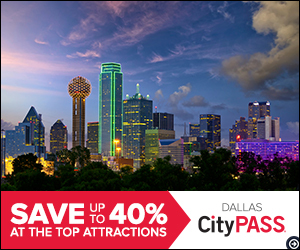 Check out publications and websites that list Dallas business events. There are lots of events to choose from, so do your research and pick the most suitable ones based on your interests and goals. Don’t try to sign up everyone. If you’re too aggressive about working the room, handing out business cards, and asking for phone numbers, you’ll turn people off. Build rapport with people and only try to arrange future contacts when you sense someone is a genuine prospect. Focus on helping others. Sure, you’re networking to promote your own business. However, so is everyone else in the room. Take the time to think of how you might help someone else. Effective networking is a long-term strategy that means meeting lots of people. Remember also that even someone in another industry may know someone in your field. When you’re helpful, your social circle widens more quickly. Always meet the speaker or organizer. Whenever you attend an event, make sure you spend a few minutes talking to the organizer. This is often someone with lots of connections. He or she is likely to introduce you to others. Ask plenty of questions and listen well. Asking questions is the best way to draw people out. When they reply, really listen to their answers. This makes you seem more interesting and intelligent to others and often motivates them to find out more about you. Organize your own event. This is much easier now than in the past with social media and platforms such as MeetUp (it’s worth checking out existing MeetUps as well). This lets you set the tone for the group and puts you in the spotlight. Doing this, however, means you need to give some thought to planning and promoting the meeting. Bars and buffets are good for socializing. If the event has a bar, this is one of the best places to meet new people. If you don’t drink alcohol, order a soda and hang out at the bar. If there’s a buffet, chat with others who are filling their plates. If this leads to a promising conversation, invite them to join you at a table. Write down important information. Have a system for organizing the information you acquire at events. It’s easy to forget details. For example, when someone hands you a business card, it helps to jot down a few facts about him or her on the back of the card. Similarly, if a speaker mentions certain names, dates, or future events, write them down. Attend the same events regularly. As you attend Dallas networking events, don’t make the mistake of going broad but not deep. If you attend dozens of different events, you’ll always be an outsider. Identify a few groups that are most appropriate for you and attend regularly. This lets you get to know people better and take your networking to another level. Find out the best way to connect with people. When you meet someone with whom you’d like to talk again, take the time to find out the best method of contact. Some people prefer email to phone calls. Others are more active on social media sites such as LinkedIn. Make sure your own business card has all your contact info. New to Dallas? For tips and resources to help you get settled, contact us.